Nicolas Comment has exhibited his work in several solo and group shows in France, a body of work that Bernard Noël, the preface writer for two of Comment's books, defines as a “diary of the eyes”. 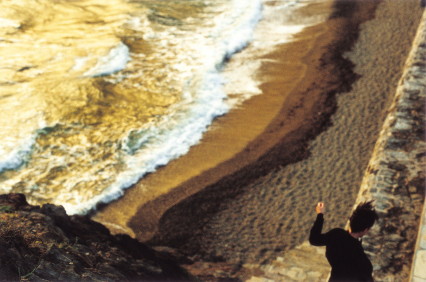 During the early 2000s, the photographer developed a unique photographic style characterized by his original use of color and interest for travel, landscapes and nudes. This approach strongly relates him to French photographers such as Bernard Plossu, and Magdi Senadji, as well as Saul Leiter and Todd Hido. In collaboration with Patrick Le Bescont and Anne-Lise Broyer, Nicolas Comment also created a magazine entitled "Saison" with Filigranes and published "Fading" in 2006. In 2004, his encounter with Rodolphe Burger brought him closer to the music world, until the producer Jean-Louis Piérot proposed to collaborate on a personal music project with "Est-ce l’Est? (Berliner romanze)", with a first CD release in 2008. In 2010, he published "La visite" (a tribute to Bernard Lamarche-Vadel) and releases his first press-acclaimed album entitled “Nous étions Dieu” (Kwaidan / Discograph) produced by Marc Collin. In 2012, Nicolas Comment and Xavier Waechter set the last Bernard Lamarche-Vadel’s poems collection, "Retrouvailles", to music. The jazz label Bonsaï Music releases it in 2012. The same year, he showed a new photographic series, the result of an artist residency in Mexico and publisheed the book "Mexico City Waltz"
In 2014, on top of publishing "T(ange)r" with Filigranes publishing (with a postscript by Gérard Manset and a collector 45 single record with two exclusive songs), he exhibited a new series of photographs shot in Tangier at the Galerie 127 (Marrakesh) from December 2014 to January 2015. The CD version of his second solo album, "Rose Planète" (Kwaidan / Because) was released in 2015 and the LP record version (Mediapop) in 2016. During 2015, the group show "Being beauteous" (with A.-L. Broyer, A. Da Cunha, and M. Maurel de Maillé) travelled to various French museums. In 2016, Nicolas Comment presented a major exhibition with Bernard Plossu entitled "Identification d’une ville", from March 12th to April 16th. Exhibited in Vichy during the "Portrait(s)" festival, a new series of photographs was published in a book entitled "Milo (Songbook)" by Chic Medias publishing.